The world’s largest orthopedics event is happening right now in Leipzig, Germany. From prosthetic legs that enable people to run faster to exoskeletons that can make the disabled walk again, OT World 2016 is showcasing some of the most futuristic inventions you’ve ever seen. They’re also creepy as hell. 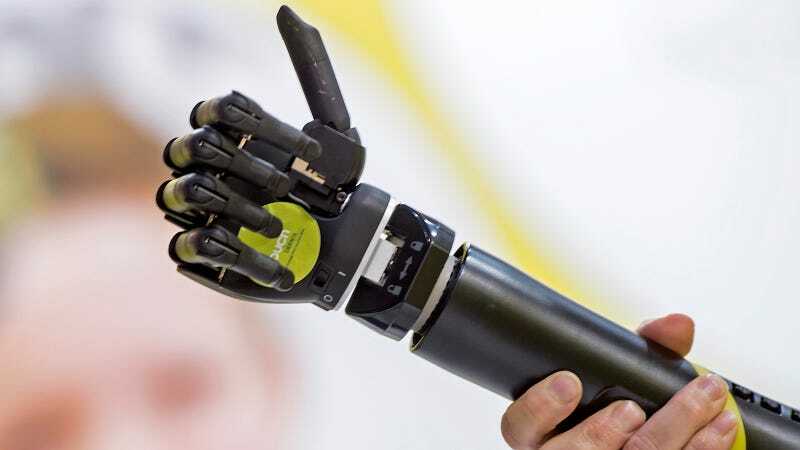 Bionic arms and ultra realistic limbs litter the showroom floor as over 500 exhibitors from 43 countries show off new ways to improve human mobility. You’ll also find orthotics, orthopedic footwear technology, and compression therapy gadgets geared towards improving people’s lives. But based on the photos from the event, this industry seems to be inching towards creating a superhuman race of cyborgs.